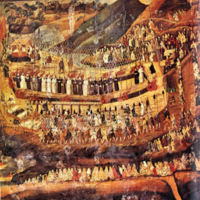 This painting is by an unknown Japanese artist that depicts the site of the execution of 26 Christian missionaries in Japan. It occurred in Nagasaki following the passage of an edict banning Christian missionaries from Japan in 1587 and preventing the worship of Christianity. This martyrdom occurred when missionaries disregarded the edict, were captured, and then refused to renounce their faith. Toynbee, Arnold. and Caplan, Jane. A Study of History [by] Arnold Toynbee. London: Oxford University Press; Thames and Hudson, 1972. 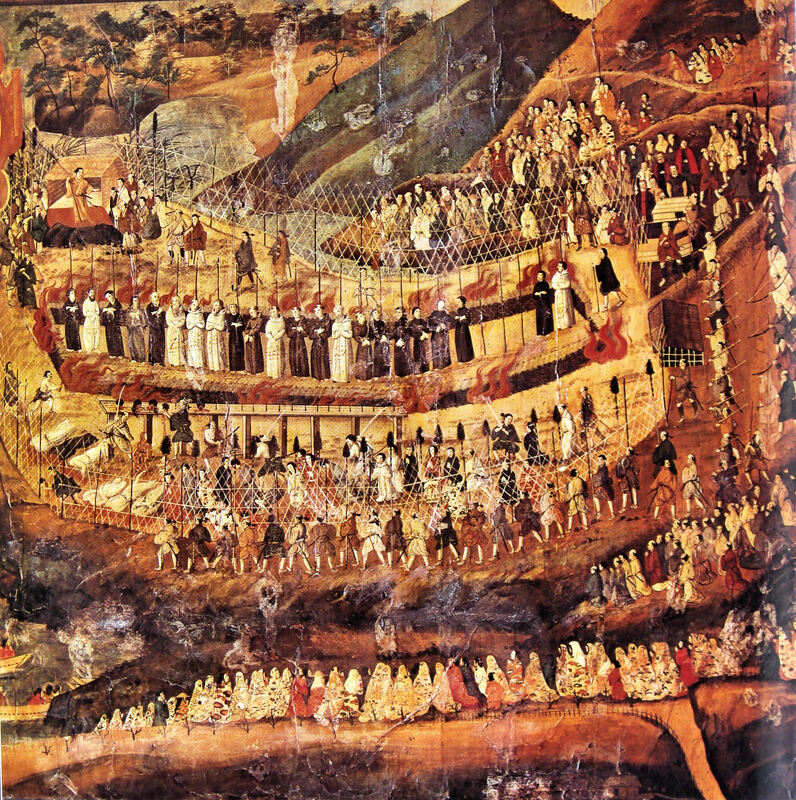 “Christian Martyrs of Nagasaki (17th century),” Medieval Hollywood, accessed April 24, 2019, http://medievalhollywood.ace.fordham.edu/items/show/106.